Belfast murder victim Ian Ogle was stabbed 11 times in the back and his skull was fractured, detectives investigating the killing have said. They said a gang of at least five men were involved in the attack at Cluan Place in east Belfast on Sunday night. The possible involvement of loyalist paramilitaries is being investigated. Det Supt Jason Murphy told a press conference that "one line of enquiry is that Ian was murdered by individuals who were members of east Belfast UVF". 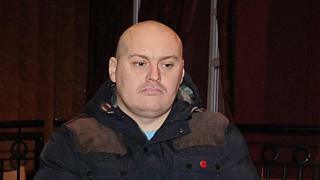 "The UVF have issued statements in relation to Ian's murder. It is too early in the investigation to establish the veracity of those," the officer added. On Thursday a 22-year-old man was arrested on suspicion of murder in connection with Mr Ogle's death, bringing the total number of arrests in the investigation to seven. A 21-year-old man arrested on Wednesday on suspicion of murder remains in police custody. On Wednesday, the Irish News published a statement which the paper said was issued by the east Belfast UVF. The statement said the east Belfast UVF "wholeheartedly condemned" the murder and that "whoever did it, did not do it in the name of loyalism or the UVF". Det Supt Murphy told reporters the 45-year-old father-of-two was "left to die on the street" and the murder had "disgusted the entire community". Ian's murder was not just an attack on Ian - it was an attack on the fabric of the community. He added that police believe the murder may be linked to a fight outside a fast food restaurant, which took place about 45 minutes before Mr Ogle was killed. "I believe that the events leading up to Ian's murder began on the Beersbridge Road, about 20:45 GMT on Sunday evening, when an altercation took place outside a fast food outlet. "The exact circumstances of that incident are still developing, but I believe that Ian was there," Det Supt Murphy said. He appealed for witnesses to the fight to come forward and also released details of the suspects' movements in the moments immediately before and after the murder. "Shortly before 21:30 GMT, Ian's killers parked a black Seat Leon, registration number JGZ 7406 in Langtry Court, just off Templemore Avenue," the detective said. "They then walked the short distance to Cluan Place, via Templemore Avenue and the Albertbridge Road. "After the attack, they returned to Templemore Avenue - some of the killers got into the car and others dispersed on foot from Langtry Court, through the houses. "The car was driven along Templemore Avenue, into Major Street and onto the lower Newtownards Road, before being left at Pitt Place," he added. Officers have conducted 14 searches, visited nearly 200 premises and are viewing more than 70 hours of CCTV footage in a bid to bring the killers to justice. Det Supt Murphy described Mr Ogle's murder as "not just an attack on Ian - it was an attack on the fabric of the community". "Ian's killers have united the entire community in condemnation. Their fear tactics have not dissuaded the community from their resolute determination to see justice done," he said. "As a police service, we stand alongside the community and I want to thank the people of east Belfast for their patience, help and understanding during this intensive investigation." The detective added: "If anything positive is to come from Ian's murder, it will be that the fear and intimidation that some people use to influence, has been starkly exposed to the community and condemned from every corner." He said the PSNI was "absolutely committed to bringing Ian's killers to justice" and said detectives were "actively pursuing" a number of suspects.